Adventure is simple, we do it all... book today and come and enjoy river rafting at its best. 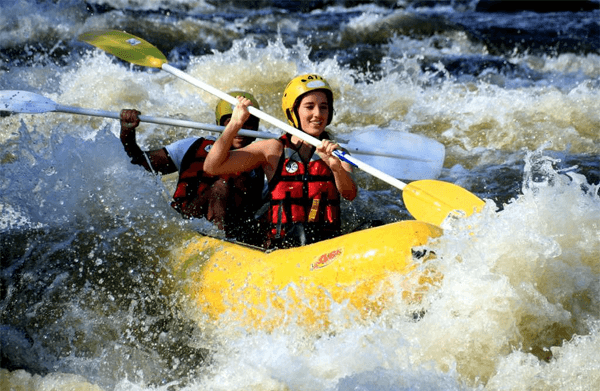 This is one of the ultimate things to do on the Vaal River for your family and friends. 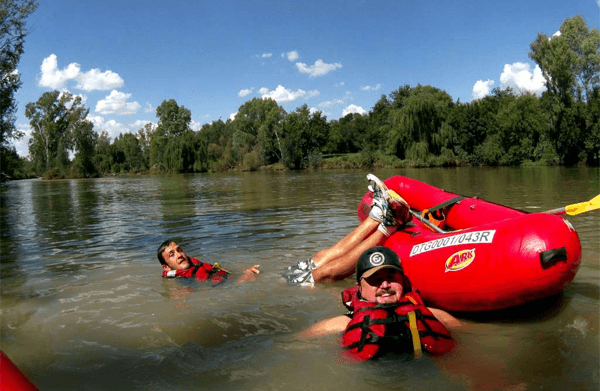 This rafting option will give you and your group the best that the Vaal River has to over the 2 day trip. The stretch is approximately 20km and has ±20 rapids for the group to navigate through. At the end of the day we will transport you to our Base Camp to sit and relax along the boma and to enjoy a well deserved sleep at our Farmhouse or Melkstal accommodation. 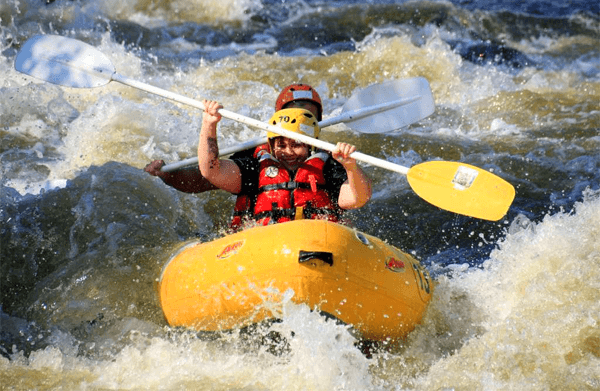 The best of all is that you do not need to bring a thing to enjoy this amazing Vaal River Rafting Experience. All meals and beverages on the water is included. This is a rafting option that young and old can enjoy. Our fully qualified guides will make sure the group gets down the river safely. 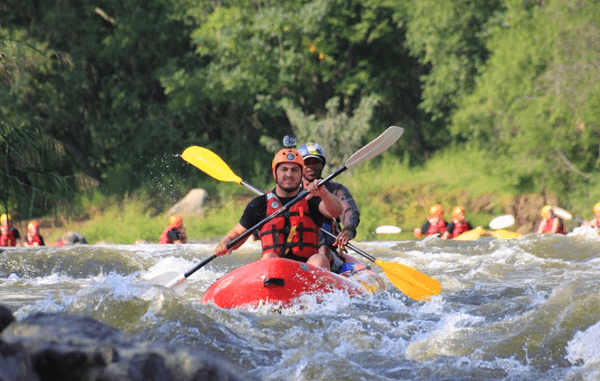 You will get to experience 14 of the best rapids that the Vaal River has to offer, while still having some time to absorb the beauty that makes part of the scenery on the flat pools. Why not make your rafting an experience a day event. The stretch is approximately 12km and has ±14 rapids for the group to navigate through. The boats used are two man inflatables. We make it a whole day of river fun. You will not only get to experience rapids like “big daddy” “jaws and claws” but also the beauty that makes part of the Dome heritage site. You will also have the opportunity to enjoy our river lunch and refreshments at an island or along the dreaded “suicide mile”. You will also get the opportunity to croc surf at “paradise”, which is a unique experience on the Vaal River. This is for the team looking for a bit more excitement on the water. Rapids graded between 1 and 3, which makes it fun for anyone. The stretch is approximately 7km and has 11 rapids for the group to navigate through. The boats used are two man inflatables or “crocs”. 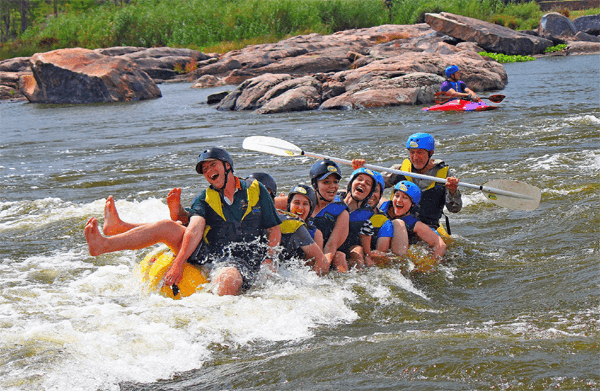 The Vaal River which flows through Parys Town is a very friendly river and our fully qualified guides will make sure the group gets down the river safely. Enjoy the fear in your opponent’s eyes with our extreme Paintball River War Games. This activity is unique to Parys Adventures. This is a unique activity which combines your well known paintball war games with rafting. Groups will be divided into teams. Your 2 man inflatable rafts will be equipped with a mount that can hold your paintball gun as well as a target at the back. “sink” the other teams’ boat in order to score points. The war goes on until the last team standing. The other games that can be played are as follows. With this activity the groups need to free as many hostages as possible without getting “killed”. The more hostages freed, the stronger your team! Capture the flag is almost the same as our S.W.A.T. but you must get the flag from the opponent’s base without being “killed” and at the same time protect your flag.